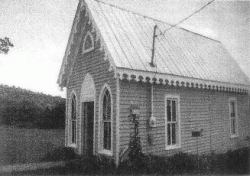 The Meigs County Historical Society was formed in June 1983 and in the 24 years of its existence has been actively promoting and preserving the historic beginnings of Meigs County. The museum features a time line history of Meigs County and includes artifacts and genealogies. The museum is open all year except for holidays. Please call 423-334-4424 for opening hours. For driving directions to the museum, enter your starting address below. If you just want to see a map of Decatur, leave the box blank and click Go.